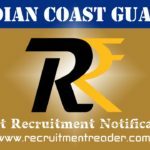 Latest RRB Recruitment Notification 2019 – Indian Railway Recruitment Boards (RRBs) jointly published notification (RRC 01/2019) for recruitment of Level 1 Posts (7th CPC Pay Matrix). 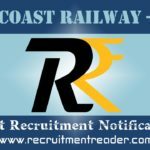 Indian Railway announced 103769 vacancies for Assistant Pointsman, Assistant Bridge, Track Maintainer Grade IV and various assistant posts across India. Candidates who have eligibility as per RRB Level 1 Posts Recruitment Notification 2019 may apply online at RRBs website on or before 12.04.2019. Railway Recruitment Board activate online application link from 12.03.2019. Closing date for payment of application fee via online/offline is 23.04.2019/18.04.2019. The Last date for final submission is 26.04.2019. RRB announced exam date for Computer Based Test (CBT) in September – October 2019. Keep check railway jobs category for Upcoming Railway Job Notifications. Before apply for the Level 1 Posts Recruitment, candidates should ensure that they fulfil the eligibility criteria given in the RRB advertisement. Also be aware of detailed vacancies, compensation, selection process and application process from the advertisement. Age limit should be Minimum 18 and Maximum 33 years. 10th Pass/ ITI from a recognized institute. Look into RRC 01/2019 advertisement for more details of qualification. Logon to any RRB website and then find Centralised Notification (RRC 01/2019). Then find advertisement and online application link for Level 1 Posts Recruitment. Find upcoming RRB Recruitment Notifications @ Recruitment Reader. For more details regarding RRB Recruitment Notification 2019 logon to any RRB website. The information given above is based on the Railway Recruitment Board official advertisement. 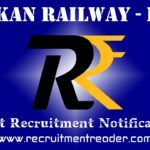 Latest RRB Recruitment Notification 2019 – Indian Railway Recruitment Boards (RRBs) jointly published notification (Centralised Employment Notice (CEN) No. 03/2019) for recruitment of Ministerial & Isolated Categories posts. RRB announced 1665 vacancies for various ministerial & Isolated categories posts across India. Candidates who have eligibility as per RRB Recruitment Notification 2019 may apply online at RRBs website on or before 22.04.2019. Railway Recruitment Board has activated online application link from 08.03.2019. Closing date for payment of online application fee via online is 28.04.2019 and offline is 26.04.2019. The Last date for final online submission is 30.04.2019. RRB announced exam date for Computer Based Test (CBT) in June – July 2019. 10+2/ Diploma/ Degree/ Master Degree in relevant disciplines. Look into RRB advertisement for more details of qualification. For SC/ST/Ex-Serviceman/PWD/Female/Transgender/Minorities/Economically Backward Classes candidates, ₹ 250/- (Refundable to candidates appear in CBT). Logon to any RRB website and then find Centralised Notification (CEN) 03/2019. Then find advertisement and online application link for the Recruitment. For more details regarding RRB Recruitment Notification 2019 logon to any RRB website. The information given above is based on the Railway Recruitment Board official advertisement. Latest RRB Recruitment Notification 2019 – Indian Railway Recruitment Boards (RRBs) jointly published notification (Centralised Employment Notice (CEN) No. 01/2019) for recruitment of Non Technical Popular Categories (NTPC). Indian Railway announced 35277 vacancies for NTPC Graduate and Under Graduate posts across India. 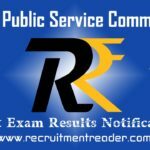 Candidates who have eligibility as per RRB NTPC Recruitment Notification 2019 may apply online at RRBs website on or before 31.03.2019. Railway Recruitment Board activate online application link from 01.03.2019. Closing date for payment of online application fee via online/offline is 05.04.2019. The Last date for final submission is 12.04.2019. RRB announced exam date for 1st Stage Computer Based Test (CBT) in September 2019. Logon to any RRB website and then find Centralised Notification (CEN) 01/2019. Then find advertisement and online application link for NTPC Recruitment. 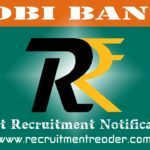 Indian Railway Recruitment Boards (RRBs) jointly published notification (Centralised Employment Notice (CEN) No. 02/2019) for recruitment of Paramedical Categories posts. RRB announced 1937 vacancies for various para medical categories posts across India. Candidates who have eligibility as per RRB Paramedical Recruitment Notification 2019 may apply online at RRBs website on or before 02.04.2019. Railway Recruitment Board has activated online application link from 04.03.2019. Closing date for payment of online application fee via online is 05.04.2019 and offline is 04.04.2019. The Last date for final online submission is 07.04.2019. RRB announced exam date for Computer Based Test (CBT) in June 2019. Lower age limt is 18 years. Age limit varies for posts so check RRB Paramedical notification. 10+2/ Diploma/ Degree in relevant disciplines. Look into RRB Paramedical advertisement for more details of qualification. Logon to any RRB website and then find Centralised Notification (CEN) 02/2019. Then find advertisement and online application link for Paramedical Categories Recruitment.